So, it’s the perfect time to present to you my fourth edition of “No Way Pedro”. It’s similar to the bold predictions you’ll see swirling around the internet this time of year. Firstly, the name “No Way Pedro” comes from an old UK sitcom; Only Fools and Horses. Whereby the main character gets phrases and sayings muddled up all the time. So rather than saying no way Jose, he says no way Pedro. The programme is like royalty here in the UK and was the Seinfeld of the time before Seinfeld was Seinfeld, so go check it out. Let’s have some fun with this shall we. We’ll go team by team starting in the American League and pick one from each for a “No Way Pedro”. There’s very little to get excited about here but in Jonathan Villar, they have the original Adalberto Mondesi and Villar will hit 20 homers and steal 50 bases. He was one homer short of achieving this in 2016 and outside of Villar, it’s difficult to see anyone who will contribute much for the Orioles. Villar is the only attraction on a team who will finish with the worst record in the Majors and should be allowed to just swing away and run whenever he can. Jackie Bradley Jr will have a 20/20 season and ends the season as a top 20 outfielder. 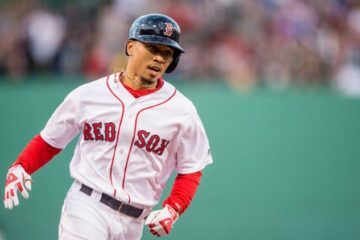 Currently being drafted as an OF5/6, JBJ was in the top 20 of outfielders in hard hit rate, bettering Jose Martinez, Cody Bellinger and Kyle Schwarber while is soft hit rate was lowest among all outfielders. The power should play up so he only needs to run a bit more to make this mark. 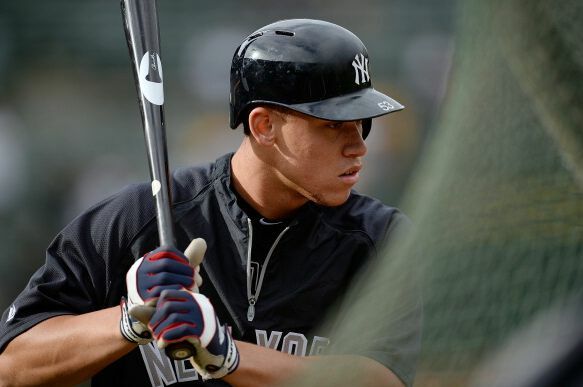 Aaron Judge leads the Majors in homers with 60+, gets 120 RBIs and runs en route to winning the AL MVP. His first full season saw him hit 52 homers before missing several weeks last year. He’s back raking this Spring with a modified stance and providing he avoids the IL, will be the supreme power source in baseball. The Rays have multiple players of intrigue and interest, but it’s their outfield which excites me most and I’m saying they end the season with three outfielders (Tommy Pham, Austin Meadows and Kevin Kiermaier) all having 20/20 seasons. Pham has averaged a 22/20 season the last two years, Kiermaier has the ability to do so if he stays healthy (which is a big if but these are bold predictions) and Meadows’ projections will have him reaching that goal if he plays 150 games. So, there’s reason to believe they all can hit the 20/20 mark. Vladimir Guerrero Jr hits .280 with 12 home runs. The uber prospect is a special talent but is unlikely to be seen in Toronto until May. A setback on his oblique injury or struggles on his return could hamper his call-up and the Blue Jays are not going to be competing for the playoffs this year so may well play things overly cautious with their biggest talent. Alex Colome ends the year with 40+ saves and is a top-5 fantasy reliever. Officially named the White Sox’s closer, Colome had success in the role for Tampa Bay before his trade last year. I don’t expect the White Sox to be in the playoff mix but a .500 season is possible in a division with the Royals and Tigers so should see a good number of opportunities still. The Indians will finish with four starting pitchers inside the top-10 in fantasy and Brad Hand will be the best fantasy reliever in the American League. Although the Indians offense has taken some knocks this Spring (literally), their rotation is the best on paper in baseball. With four starters being drafted inside the first eight rounds and one of the first 10 closers being drafted, this one might not be such a stretch but if they do achieve this, it will be unparalleled and a truly historical season. Christin Stewart hits 25 homers and scores 80 runs. If you’ve seen my rankings or read anything I’ve written, you may have come across my fondness for Stewart this year. 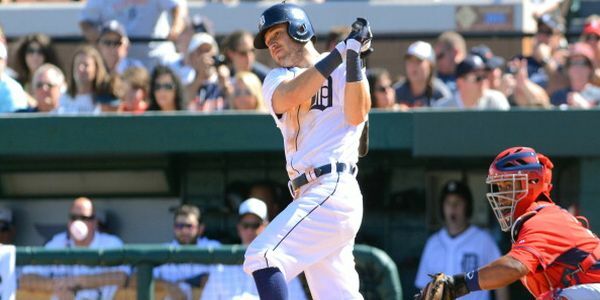 His ability to take a walk will offset a meagre batting average, but he has decent pop and is lined up to hit in the two-spot ahead of Nick Castellanos and Miguel Cabrera. He shouldn’t be at risk of losing playing time so can reach those numbers if he sticks hitting second. I said the same thing last year for Billy Hamilton, but this year he steals 80 bases. It’s difficult to see the Royals being able to score runs given Whit Merrifield is their only top hitter and Soler is the only source of power. The Royals are hardly averse to playing smallball so letting Hamilton run every time he gets on base might be their best source of generating runs and some buzz about the team. 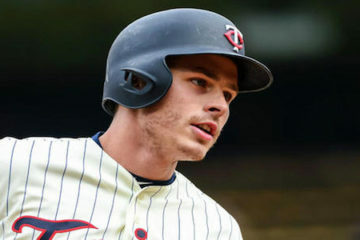 The Twins are another team which holds plenty of intrigue and I think has a shot of making the wildcard. And I’m going back to re-hash another of last year’s predictions; Jose Berrios winning the AL Cy Young. He’s flashed brilliance over the last two years, and it won’t take much for him to put everything together across a full season and dominate the league en route to the top pitching award. Robinson Chirinos hits 20 home runs and ends as a top-5 fantasy catcher. Chirinos has hit 35 homers over 211 games across the last two seasons so if he manages to play 110 games, 20 homers will be in play. He also hit .255 in 2017 and is familiar with the AL West so if he manages those kinds of numbers this year, he should be one of the top catching options in fantasy. Mike Trout will hit twice as many home runs and steal twice as many bases as the second highest player on the Angels’ roster. The $430 million man will be eyeing up a 40/20 season at least. Justin Upton and Shohei Ohtani are the biggest threats to the power prediction but Ohtani will miss at least the first month and Upton is already dealing with niggling injuries. Those two plus Andrelton Simmons are the only real base stealing threats and it wouldn’t be a push for Trout to top 25 steals which could be enough to double any of those three’s total numbers. Khris Davis doesn’t hit .247 this year. And Stephen Piscotty ends the year as the A’s highest ranked fantasy hitter. The story of Piscotty going to Oakland is a sad one but if there’s any shred of comfort from it, it’s that he certainly seems more at home on the west coast. He hit 27 homers last year and now entrenched as the no.3 hitter for the A’s, he could hit triple digits in runs and RBIs along with 25-30 homers. 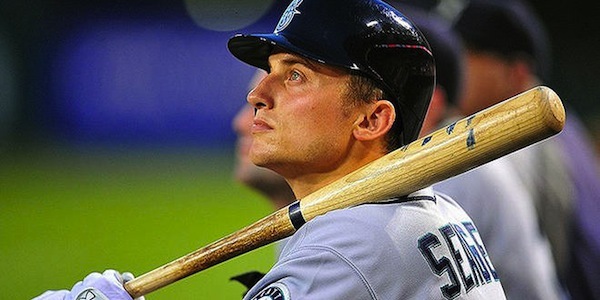 He’s likely to hit .260 at least as well so will be a key part of the A’s new age moneyball success. Hunter Strickland ends the year with 40+ saves and is a top-5 fantasy reliever. Just like the earlier mentioned Colome, Strickland has had success before and is on a team who won’t be as bad as you might think (the first two games in Tokyo highlighted their potential). They likely won’t blow teams away but still posses a decent lineup who will win games and all the Spring talk of not having a closer seems like hot air after Strickland got back-to-back saves in Japan. Rougned Odor ends the year as the top second baseman in the American League. Odor ranked 12th among qualified hitters in hard hit rate. No one above him plays second base and only one had a lower HR/FB%, so that power should return 30+ homers again. Throw in the 12-15 steals he’s had the last three seasons and remind yourself that in 2018 he had a career high 8.0% BB% (which is around league average) all leading to Odor putting everything together for a 2016 repeat. Tags:Aaron JudgeAlex ColomeBrad Handjackie bradley jrKevin KiermaierVladimir Guerrero Jr.